The Fayette County Commissioners donated $250 out of their personal funds to the Joey Day program in Fayette County. Shown from left are: Commissioner John Underwood, Commissioner James Knight, Joey Day Chairman Chuck Langley, Commission Chairman Joe Acker, Commissioner Shane Hughes and Commissioner Barry Corkren. 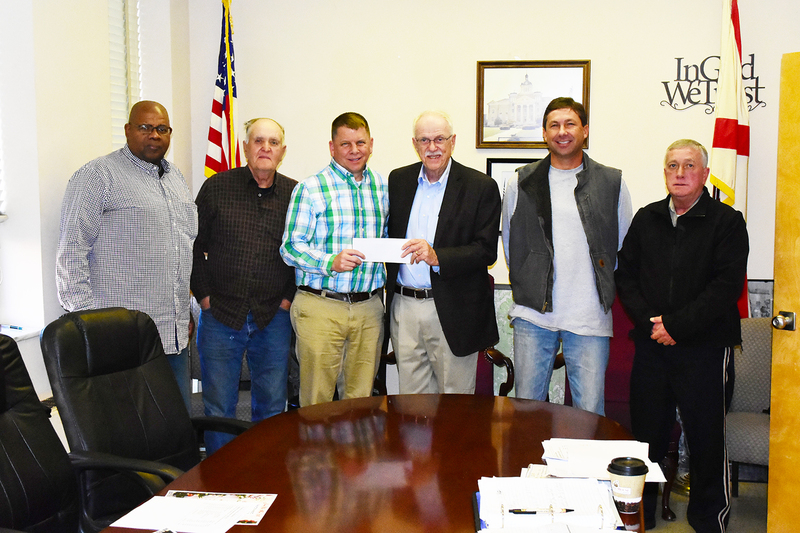 The Fayette County Commissioners donated $250 out of their personal funds to the Joey Day program in Fayette to buy Christmas presents for children in Fayette County.